Airplay is a very useful feature allows you to mirror media files on your iPhone, such as pictures, music and video on supported devices. While we do not need to install any additional receivers to complete the picture synchronization on Mac, Apple TV and iPad. 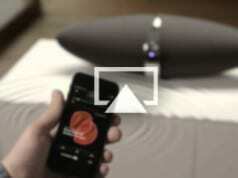 But for Windows users, installing a third party Airplay receiver on PC is very necessary. There are many software has this capability, such as LonelyScreen, which is a free, easy-to-use AirPlay receiver for Windows 10. With this software you can mirror all media files from your iPhone to computer screen just like them on an Apple TV, without installing anything app on iPhone. Other high-quality AirPlay Receiver include: iTools Airplayer, Shairport4w, Mirroring 360, 5K player and Kodi or XMBC AirPlay Receiver. The installation and how to use also very simple, the below is a examples guides you how to install LonelyScreen and use it on Windows 10. Step#1 Download LonelyScreen and install it on your Windows 10. Note: If you get a notification while installing LonelyScreen indicating Windows Firewall has blocked some features. Specify on which types of networks you want to allow LonelyScreen to communicate. Note that public networks are not recommended because they are not very secure. Step#2 Once the airplay receiver installed, it will run automatically. You will see receiver name is “LonelyScreen” by default. 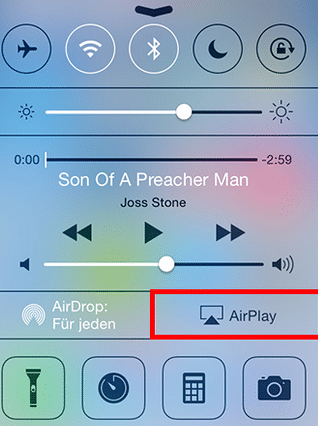 This name will display on your iOS device as an AirPlay receiver to which you can mirror information. Note: To achieve AirPlay works correctly on your PC, make sure to connect your iPhone and Windows PC under the same Wi-Fi network. Step#3 On your iPhone, Swipe up from the bottom to launch the Control Center, then tap on AirPlay toggle. Note: Click AirPlay to view a list of AirPlay receiver options. Select your Windows PC receiver. Step#4 Click the “Mirroring” slider button to start mirroring your iPhone’s contents on Windows 10 PC. To stop mirroring iPhone screen to PC, just clicking the gear button in the upper-right corner of the LonelyScreen window. 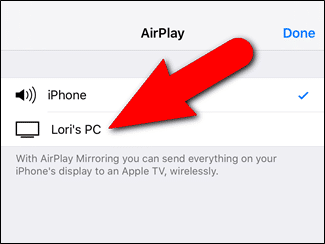 Your PC will not be visible on in the AirPlay settings on iPhone anymore.